WWE Superstar and Knox County Mayoral Candidate Kane has apparently won his primary race for Mayor of Knox County by seventeen votes, and will move on to face Democratic primary winner Linda Haney in an inter-gender election at Survivor Series in November. Kane received the endorsements of people such as Matt Hardy, The Undertaker, and Rand Paul, but his campaign platform was disjointed, seemingly focusing more on a vendetta against Braun Strowman than on his own Libertarian ideals during several tense periods. Kane delivered several disturbing speeches on Monday Night Raw, reflecting on past “sick and depraved” acts, such as lighting Jim Ross on fire and electrocuting the testicles of his boss, Shane McMahon, not to mention attempting to murder Strowman by shoving him into the back of a garbage truck and turning on the compactor. Despite all of that, Kane apparently won the election by 17 votes, defeating opponents Brad Anders and Bob Thomas, 14,633 votes to 14,616 votes to 11,296 votes, sending their mayoral aspirations straight to hell. WWE congratulated Kane on their website, though they were sure to hedge in case referees examine provisional ballots yet to be counted and decide to reverse their decision, a situation WWE is not unfamiliar with. It could be next week before officials tally all provisional ballots and make their final decision, or, as Meltzer would say, plans could change. We’ll keep you posted. Did Undertaker Lie to Public at Brother Kane's Mayoral Campaign Event? 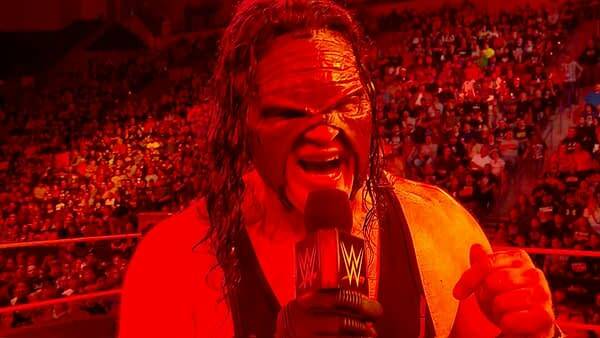 WWE Superstar Kane on Royal Rumble Title Feud: "This May Be the Last One"
Mayoral Candidate Glenn Jacobs: "I Delight in Pain. I Delight in Horror."